©Nick Rice: Not a Plymouth allocation at the time of this photo but this ex Volvo demonstrator Lynx 2 was sometimes 'borrowed' by Tavistock outstation for some services before being dispatched back to the North Devon part of First's fleet. 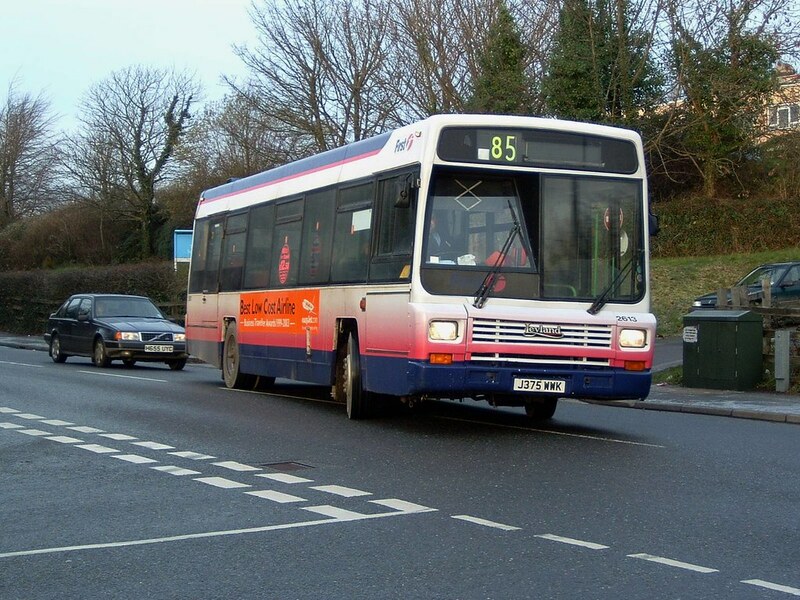 The 85 was a Plymouth to Yelverton route which often threw up Lynxes, VR, Olympians, Merc minis just about anything! Glenholt - Woolwell - Glenholt - Derriford - Mutley - Royal Parade via Western approach. In the early days when I joined what was then Western National it was operated hourly by the same bus often a 608 Merc and to do the round trip in an hour was a challenge, often arriving at Glenholt on the way out when you should of been there on the way in.